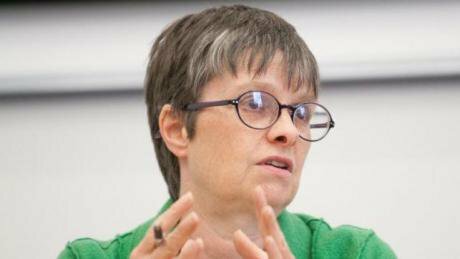 Molly Scott Cato MEP explains why she has teamed up with the Good Law Project to force the government to lift the veil of secrecy on its Brexit impact reports - through action in the high court, if necessary. We have heard more talk about democracy in the past year than in my whole lifetime and frankly most of it is nonsense on stilts. Democracy is about making choices between real possible futures. The referendum wasn't that. Instead it was an invitation to bundle up all your frustrations and disappointments and hurl them at ‘Brussels’. Many of us were deeply disappointed by the EU referendum campaign. The Remain side grossly exaggerated the immediate economic hit from a Leave vote - rather than the process of leaving the EU - making it easy for Brexiteers to parody their case as Project Fear. On the Leave side there were innuendoes, false facts, and unachievable promises. Democratic decision-making is a process, not a snapshot of opinion in time. As negotiations begin, the lies unravel, and the economic impact becomes clear, we must keep the debate going. Brexit hasn't yet happened. We can still stop it if that is what the majority want. To change their view – or not – people need to have the best possible information about what the potential impacts of Brexit will be. This is where the secret Brexit studies come in. Back in April there were several leaks that made it clear DExEU had detailed information about the consequences of Brexit that they were not making public. I wrote to David Davis asking him to let me have this vital information so I could reassure my constituents and effectively continue to do my job as an MEP. A response from DExEU confirmed that analysis had been carried out in 50 sectors of the economy but no reason was offered as to why these studies were not being made available. Just reassurances that ministers had “travelled up and down the country to listen to the hopes and concerns of businesses, civil society and the general public”. I pushed again. I received a response from Steve Baker MP, Undersecretary of State for exiting the EU. This time there were clues as to which sectors the government has analysed. These include financial services, agriculture, energy, retail, infrastructure and transport. But Baker said it would be “inappropriate to publish analysis that would risk damaging the UK’s negotiating position”. All my attempts, and the attempts of many others, to get this information into the public domain has met with the stock response: that to do so would damage our negotiating position in Brussels. This can only suggest that the impacts revealed are as bad as many of us have feared. But if it is encouraging news, then our businesses need the chance to prepare to make the best of the amazing Brexit opportunities. So I have now teamed up with The Good Law Project to demand the government release the studies within 14 days or face judicial review proceedings before the High Court. We believe there is a clear legal and principled case to say that these studies should not be hidden from public view. I was proud to announce our policy of holding a ratification referendum during the general election campaign. And that remaining in the EU should be an option in this referendum. There is nothing undemocratic about this. We are asking for more democracy, not less. We are asking for a democratic choice between two real, possible futures at the end of the negotiations: the deal – or remaining a member of the EU. It is the Brextremists, fighting tooth and nail against the ratification referendum, who are the anti-democrats. They are terrified that the British people will next time round be armed with the full facts and have a much clearer idea of two alternative futures. Does Boris Johnson believe in democracy? The man who touted for votes on the basis of the biggest lie in the history of British politics? Does Iain Duncan Smith believe in democracy? The man who has since claimed that, for the Leave side, “our promises were a range of possibilities”? Does Steve Baker believe in democracy? The man who received funding from the secretive Constitutional Research Council that gave the DUP more than £425,000 for its Brexit campaign? Baker is now minister in the Brexit department - the very same man who is now refusing to release the secret Brexit studies that reveal the potential impacts of Brexit. And what of Dan Hannan? Does he believe in democracy? The man who famously said ahead of the referendum that “absolutely nobody is talking about threatening our place in the single market”. This is the same Hannan who was the founder of the European Research Group (ERG), a group of Tory hardliners advocating a hard Brexit including full withdrawal from - you guessed it - the Single Market. The hard Brexit being driven by extremist Tories is nothing less than a soft coup. The stories published by OpenDemocracy are beginning to reveal the murky alliance between Putin, the DUP, Bannon and others who created the deceitful propaganda that persuaded a traditionally prudent country to vote for its own demise. Behind the myth of taking back control was the reality of a power shift away from Parliament and to Ministers. To restore democracy we must have the information those ministers have about what Brexit really means for our economy, our health service and all our lives.